Shares of Page Industries extended their Thursday's fall and slipped 7 per cent to Rs 22,265 apiece on the BSE in early trade on Friday. The stock has fallen 9 per cent in the past two trading sessions. 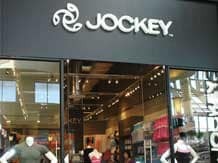 After two quarters of dismal performance, the Indian maker of Jockey men’s and women’s innerwear clocked 18.9 per cent rise in net revenues to Rs 738 crore, and 22.2 per cent growth in net profit to Rs 102 crore in December 2018 (Q3FY19) quarter, compared to the year-ago period. The company reported around 12 per cent volume growth – strong recovery after reporting flat volume growth in Q2. The rise in volume growth attributed to the shift in festive season which resulted in pent up demand during the quarter. Analysts at Dolat Capital believe that though Page Industries is likely to mitigate the competition with strong brand positioning, ongoing innovations, increasing number of stores and wide distribution reach, it believes that the monopoly of the company has come to an end in the category. Consequently, the brokerage firm believes that the historical P/E multiple would not sustain. “We continue to believe that with the changing economy, branded innerwear market would continue to report double-digit volume growth and Page will enhance the most, being a leader in the category. We do not see price pass on as a challenge during inflationary environment as the company has robust brand recognition in the premium category,” the brokerage firm said in a result update. Page has reported strong volume growth despite increased competition. Going ahead, the brokerage firm believes that the aggressive expansion plans (to double the store count over the next two years) and ongoing increase in distribution reach would help enhance volume growth. Further, focus on women and sport segment would accelerate volume and realization of the company, it added. The brokerage firm maintains ‘buy’ rating of the stock with a target price of Rs 30,030. “Given increasing competitive intensity especially in men’s segment, we build a slightly lower growth estimate bringing our FY19/20 profit after tax estimate down by 1 per cent/6 per cent leading to 18 per cent revenue and 22 per cent earnings CAGR over FY19e-21e,” analysts at Systematix Shares and Stocks (India) said. Given a strong recovery after two weak quarters, we believe the company can clock mid-teens revenue growth (16 per cent) in FY19e and can still grow around 18 per cent CAGR with an annual around 50bps margin improvement, led by improving mix and consistent realisation improvement coupled with operating leverage benefits, the brokerage firm said with ‘accumulate’ rating on the stock and target price of Rs 28,760 per share. At 10:14 am; Page Industries was trading 5 per cent lower at Rs 22,751 on the BSE, as compared to 0.38 per cent fall in the S&P BSE Sensex. A combined 43,625 equity shares changed hands on the counter on the NSE and BSE so far.